The prize was given for the best new work of the year for his concert-length Fire and Rose written for Sinfonietta Riga. The Grand Music Award (GMA) is the highest form of state recognition in the field of music. It was established in 1993 following the initiative of former Minister of Culture Raimonds Pauls. 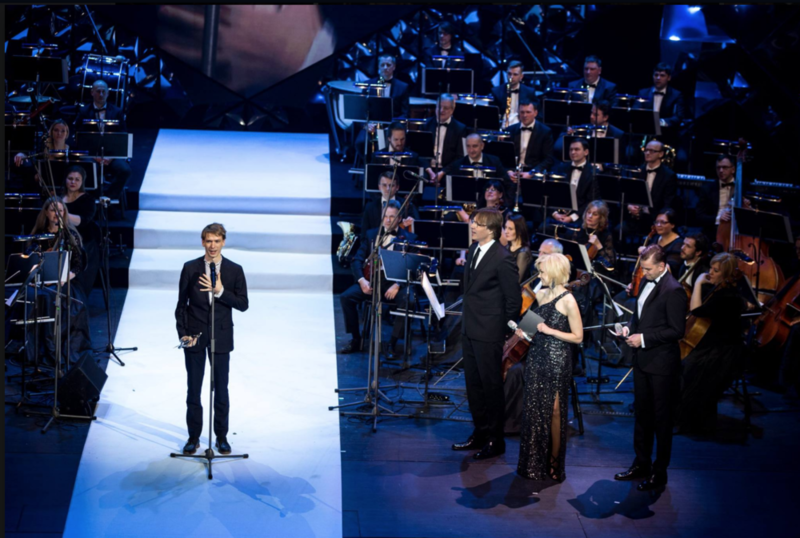 For the first few years the awards ceremony took place in Riga Great Guild Hall, since 1996 the home of GMA is the Latvian National Opera House. The ceremony is broadcasted by Latvian Radio 3 Klasika and by Latvian National Television. The nominees and the prize-winners are selected by a jury, members of which have closely monitored the music life in Latvia: attending concerts and musical shows. Prize-winners received a silver statuette, created by Armands Jēkabsons and a monetary award. The Latvian Grand Music Award ceremony is organized by State Concert Agency Latvijas Koncerti and the Ministry of Culture of Republic of Latvia.